If you're the owner or maintainer of a website, you know SEO matters. A lot. This guide is meant to be an accurate list of all technical aspects of search engine optimisation. There's a lot more to being "SEO friendly" than just the technical part. Content is, as always, still king. It doesn't matter how technically OK your site is, if the content isn't up to snuff, it won't do you much good. 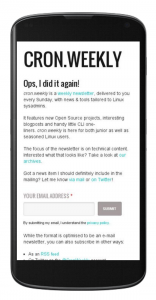 As I've recently launched 2 side projects (MARC, the open source mailing list archiver and cron.weekly, my open source & linux newsletter), I had to go through the usual SEO dance yet again. But this time, I'm documenting my actions. Consider it a technical SEO checklist, whenever you launch a new site or project. There are probably a couple of domain names that allow visitors to reach your website. The idea is to force a single one, set the correct HTTP headers for redirecting and force the single domain to be known. If you're running Apache, this is the easiest way to force all requests to a single domain. Add this to your .htaccess configuration. Great, now any other domain that points to my site will be rewritten to www.cronweekly.com. If you're on Nginx, there are 2 ways to tackle this problem. A good and a better way. Here's the easiest one to implement, as it only requires a simple change to your vhost configuration on the server. While it works, it isn't the preferred way in Nginx. Here's a better solution, but it requires a bit more configuration work. The second example essentially creates 2 virtual hosts: one virtual host (the last one) that contains the configuration for your actual site. This should, ideally, only have one server_name component, the final domain name for your site. The first server block has a set of server_name's that are basically aliasses to the real site, but that shouldn't be used. Any site that points to those domains will trigger the rewrite section and force the new domain to be used, which then enters the second vhost. It's a bit more configuration work, but it's more efficient for Nginx. This is up for debate, but one that I'll stick to: make sure your website is available over HTTPs and force the HTTPs version everywhere. Google prefers HTTPs over HTTP (even if it's only by a 0.0001%), so if you have the possibility to activate HTTPs, go for it. Since the rise of Let's Encrypt, several shared hosting providers even offer free SSL certificates to all their clients. That's a free bargain you shouldn't pass on. Be warned though, implementing HTTPs isn't without dangers: a good implementation gives you a nice green lock in the URL bar, but the slightest mistake (like mixed content, where you include HTTP resources in your HTTPS site) can destroy that experience. If you're enabling HTTPs, make sure to redirect all HTTP connections to HTTPs. If you don't, search engines could index 2 versions of your site and treat them differently: the HTTP and the HTTPs version. 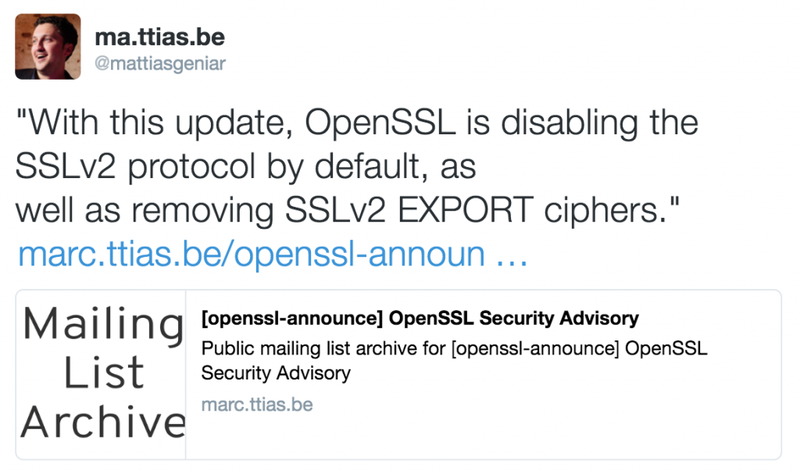 In the examples above, make sure to replace http:// with https:// so the redirect goes to HTTPs straight away. If you're using Nginx as a reverse proxy in front of your Apache webservers (which is a common practice if you want to enable HTTP/2 on your sites), you can use a configuration like this in your .htaccess. In Nginx you can use a variation of the rewrite shown above. The virtual host that listens on port :80 redirects everything to the vhost on port :443 (HTTPs). When implemented properly, every variation of the domain name you type in your browser should lead you to the same domain name via HTTPs. 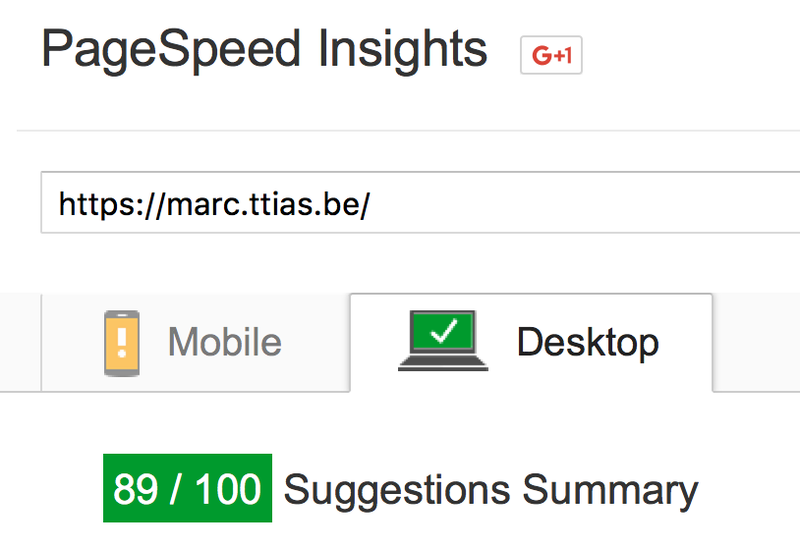 Google offers a very nice tool to test this: PageSpeed. A faster website will get better rankings than a slow website. Even if it's only a minor difference for search engines, it's a massive difference for your visitors. A site taking more than 2-3 seconds to load will lose the interest of the visitor and could potentially cost you sales or leads. If you're confident every part of your site can be cached, you can remove the <filesMatch> block entirely and just set those headers for all content. On Nginx, use something similar to this. This sets an expiration header of 14 days for all content that matches that regex. A no-brainer, but something I did forget when I first created the mailing list archive. Setting the correct META tags for title and description is crucial for your site. Every page should have a unique, clear title with a proper description. This is the entry ticket form the SERPs (Search Engine Result Pages). The title & description should be considered a teaser to lure the user into clicking your link. Semantic markup goes a lot further than just h1 tags though. If you're an event- or booking-site, you can add structured data to your markup that can be parsed and shown directly into Google's search result pages. Google doesn't like it when you have the same content be shown on different pages. You're penalised for it as it's considered duplicate content and could be seen as a way to artificially increase the size of your site. For Google, those could look like 3 unique URLs with the same content. That's not good. For websites that offer a search function this can happen quite a lot: different keywords showing the same results and thus the same content. Because of this, many people add the noindex,follow headers to search result pages to prevent those from being indexed. Update: as correctly mentioned in the comments, another way to tackle this problem is by creating canonical URLs. This allows you to communicate one URL to search engines where multiple variants of that URL may exist. The site's information architecture is clearly visible: the URLs show the hierarchy in which content is organised. The URL contains keywords and usually gives away part of the content of the page, without opening the page yet (useful in search engine results to lure the user into clicking your link). If you still have URLs like the first example, consider creating a clear hierarchy of all your pages and structure them like the 2nd example. As for the whole "trailing slash or no trailing slash debate": I don't care about that. I don't believe the trailing slash makes any difference from a technical SEO point of view, so pick a style that makes you happy. Responsive designs are given a higher score for mobile searchers than non-responsive layouts. If your current site isn't made responsive yet, consider making it one of your priorities for the next redesign. For the mailing list archive I simply relied on Twitter Bootstrap, the CSS framework which comes with responsiveness out of the box. One of the key technical aspects of a responsive layout is the presence of the following meta tag in the HEAD of the HTML. Because of Twitter Bootstrap, it was a no-brainer to get a responsive layout. It didn't take me any more work. As a non-webdeveloper, it did take me longer to get used to Bootstrap's grid system and having to test the layout in multiple resolutions, but in the end -- that effort pays of. Search engines will look for a robots.txt file in the root of your website for instructions on how and if to crawl your site. The following file allows all indexing to occur, nothing is blocked. Be warned though: this is a suggestion to search engines. Google will honour it, but there's no guarantee that tomorrows search engines will too. A sitemap is a structured set of data (in XML) that lists all the pages of a site and when that particular page was last updated. 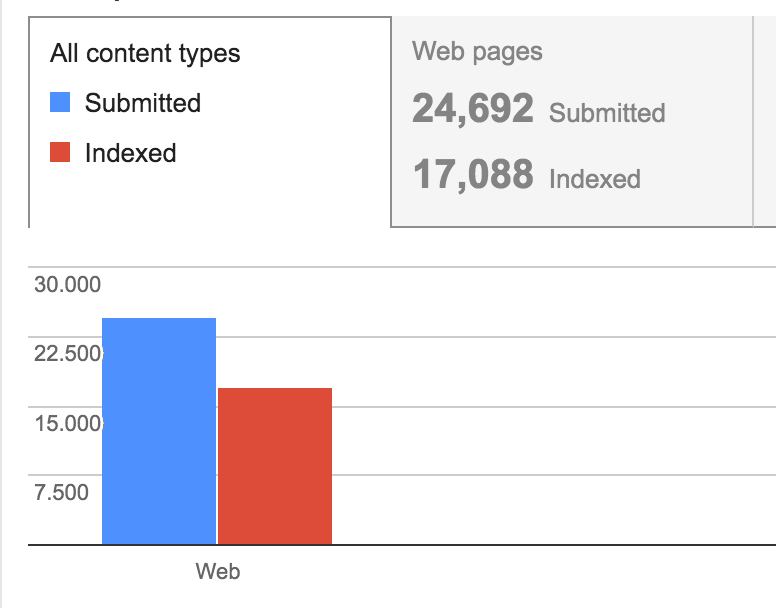 It's useful to get a comparison between all the pages you have, and the ones that have been indexed. Most content management systems can generate these for you. If you've written your own code, there are probably community contributed modules that can help generate them. If you've got a static website, where all files are already generated, you can use a python script to parse those files and generate a sitemap for you. This is what I used on the mailing list archive, since I had generated files on disk already. This python script can do that for you. The config comes included in the download, you probably only need to modify the following parts (leave the original version and just change out these parameters). A very simple config, you tell it which directory to index (~/htdocs/), the name of the site and where to output the sitemap file. Every site should be added to Google's Webmaster Tools. The webmaster tools also allow you to explicitly add your sitemap.xml and get feedback on which pages have been crawled and which have been added to Google's Index. Adding the sitemap is no guarantee that Google will crawl and index all sites, but you can clearly see Google's status and difference between what you submitted (the sitemap) and what Google crawled. "What does Twitter have to do with SEO?" Well, more than you think. Having URLs that reached further trough social media increase the chances to be posted on multiple websites, thus increasing your organic reach and pagerank. Implementing Twitter Cards doesn't take a lot of effort, but the gains can be substantial. Now whenever a user shares a link to that site, Twitter parses it nicely and presents it in a more clean way. This should encourage more shares and further reach of your posts. Which is better than just a post with a link, without additional content. For the same reason as Twitter Cards, you should implement Facebook's Open Graph. Facebook also offers a URL debugger to help diagnose problems with those headers. For MARC, they look like this. In the debugger, they're parsed like this. A better view in the timeline will increase the reach of any of your pages. Unless a particular page is blocked in the robots.txt, Google will assume the page can be indexed. You can make this even more clear by adding HTML tags in the head that explicitly tell the search engine to index this page and follow all its pages it links to. Alternatively, if this page shouldn't be indexed (like on duplicate content pages mentioned above) you can prevent it with the noindex value. There are some more variations possible you could read up on. Having dead pages or links is something to avoid, but if you have a site that's been alive for a couple of years -- chances are, you'll have 404's in your pages you have no idea about. Here's a very simple command line script to crawl your site and report any 404 found. Each of these should be checked or redirect to a new page (preferably by a 301 HTTP redirect, indicating a permanent redirect). Reusing existing connection to www.cronweekly.com:443. This told me, on my own site, that I linked to a page that wasn't there anymore: it gave a 404 error. Now I should probably look for where I linked to that page and fix the referer. If you crawl your own site, ideally you should find only HTTP/200 responses. An HTTP/200 is an "OK, content is here" message. Anything else could mean content is missing (404), broken (503) or redirect (301/302). But ideally, you don't link to any of that content but directly to the final destination page. So here's a small crawler completely crawls your site and stores it in a file called ~/crawl_results.log. You can now analyse the resulting log file for any HTTP status code that wasn't expected. If you have a site targeting Belgium, make sure to have the site hosted in Belgium. The WHOIS data behind IP addresses can specify a location. For Google's "local" results, the location is -- in part -- determined by the IP address that is hosting your site. So if you went to Hetzner, a massive German hosting provider, because it was cheap, but your business is aiming at Belgian visitors, you're much better of hosting your site at Nucleus, a local Belgian hosting provider. If you're targeting Norway, host your site in Norway. etc. Set up your own proxy in multiple languages, and redirect your .NL domains to a proxy in the Netherlands, a .BE domain to your proxy in Belgium, etc. In short: be where your visitors are. It'll give them lower latency and a faster experience, and Google will keep the location in mind when serving local results. Whenever you have to take your site offline for a longer period due to maintenance, consider sending out HTTP 503 headers to all pages. An HTTP 503 header means "Service Unavailable". And that's exactly what happens during maintenance. Google won't index a 503 and it'll consider it as "temporarily not working", so it can try again later. You can even redirect your visitors to a page explaining the maintenance, while still serving the HTTP 503 header for all indexing bots. A rewrite rule like this triggers that behaviour. All traffic gets redirected to /maintenance.html while keeping a correct HTTP status code. If I'm missing more technical tips to improve your SEO, let me know -- I'd love to learn more! In the Responsive layouts section, I would also mention the meta viewport tag, which is mandatory for a responsive website. Good point, I’ve added it to the post! Thanks! – setting META tags should be done with users in mind, not search engines. – Geolocation, I agree, but this is for user experience, SEO ? I would like to see proof. – wget –spider, cool trick ! Thanks! Thank you so much !! Very helpful … Best SEO tutorial . Nice condensed informations. Without the usual snakeoil. I just have one critic, you should add a warning that for adsense enabled sites the https force could result in lower CPM as not all advertiser provide their media as SSL enabled version. That means the auction pressure decreases. How much concrete depends on your site. Agreed, the Structured Data Markup is missing and a vital element of data-driven products (EPG, sports data, commerce, etc). I would also add links to the App Stores and the deep linking schemes of Apple and Google. SEO is more than feeding the Google Search machine … it’s a programme of maximal visibility across many, many search surfaces, including native apps. Much appreciated for that heads-up, I’ve updated the article accordingly! Because of this, many people add the noindex,follow headers to search result pages to prevent those from being indexed. Agreed of course on it not being indexed, but wouldn’t all of those links still be crawled because you are telling the search engines it’s okay to follow them, and that can lead to crawl bloating? 2) Why so many h1s? (20 on this your page) In your case your doing a great job highlighting technical SEO – so wouldn’t all of the headings add to that, and effectively be h2s? Cannot edit – noticing the my incorrect usage of yours. Sigh. 1) It’s a valid point, but I haven’t had that be used in my disadvantage (yet). Perhaps someone with more experience could chime in here, but I still recommend doing this – despite the potential “crawl bloat” (but crawled and not indexed isn’t an issue IMO). 2) Valid point, it’s become a bit of a habit of mine of doing it like this. A page is allowed to have multiple h1’s, I’m not sure what the practical limit would be for search engines. Canonical metatags, hreflang metatags, check redirects, check pdf’s in searchresults, check if devdomain isn’t indexed…..
You still going to make an updated version? Would be awesome! Awesome article! Quick question on the redirect configs above. What happens if someone visits the HTTPS version of the non-www version of the site? I’m not sure that the above config redirects traffic to www if it’s accessed on port 443. Is there any data on how each of these factors correlates with high rankings (how important it is for ranking high)? Btw, we are curating a SEO Toolbox, where you can find helpful tools with brief descriptions, pictures and links. Hope it helps and would be glad to hear the feedback. Nice guide. You covered a lot! Great overview but a very important one for me concerning technical SEO is “Site URL structure”. but very important for the Google crawler and for usability is that http://www.domeinnaam.be/services has very useful content (in this case an overview of all the services with a short intro text – in total at least 500 characters). Configuration file errors — exiting. I’ve updated that section and made the paths to be absolute, should be better now. This is very true. However, what I run into when working with clients is they have worked really hard at putting out lots of content following reasonably good Content Marketing SEO techniques but search engines never seem to find them. By implementing even a few of the Technical SEO techniques discussed here (plus a few of my own) and now they are finally in the race! So to be clear, Content is king but great content without at least the basic Technical SEO techniques, it won’t do you much good either. It’s both Content and Technically complete sites that deserve and get the attention of search engines. Thanks for all Mattias Geniar, great technics . I think, you has explained very well all . Indeed all that working in seo know that only with this, not rank high on google is achieved. They are about 200 factors to keep in mind. My question is about google analytics, we must have it installed or not? I have seen pages without google analytics in the top positions. What do you think ? Thanks and have nice day. I’ve been looking for a redirect solution for nginx for quite a while. Thanks! you should also maybe mention about structured data and schema mark up, with the way things are going towards the semantic web it could almost be mandatory in the future, better to start now! Epic post. Technical seo is definitely overlooked a lot these days, still. Massive companies with hundreds of developers still manage to put sites live with no-index within them and results can be catastrophic. Thank you for this beautiful article! I really loved every bit of it. So much information that can be used. Thank you again! !